Too much on your mind? Always busy, overworked and stressed? Sometimes we forget the little things, or even focus on the wrong things. Getting Things Done® helps you to get things off your mind so you can focus on the right things at the right time, improve your productivity, and have more free time in the process. 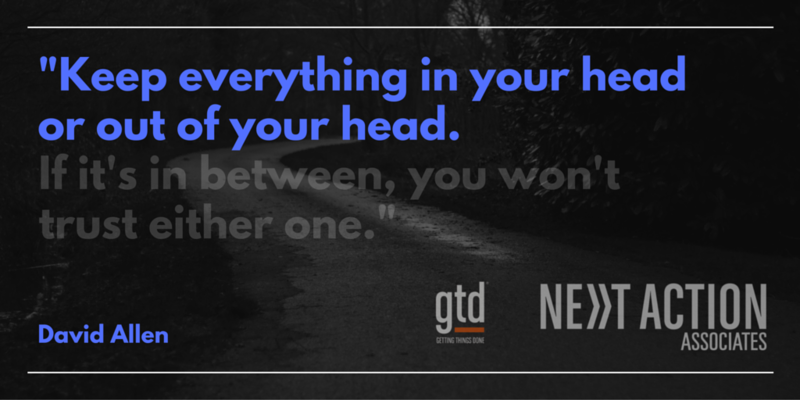 What’s more, GTD is proven to reduce workplace stress in 71% of people.